U&Me’s breakfast buffet is served at artisanal bakery and café Kulturbageriet, on the ground floor of the indoor square. 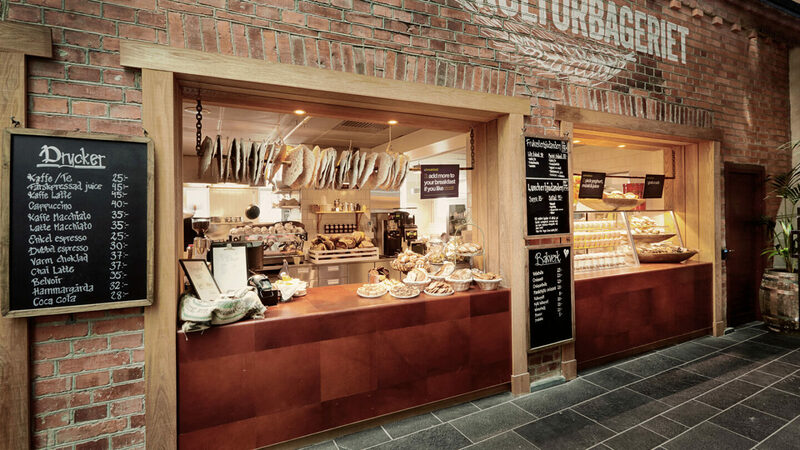 All bread is freshly baked in the morning with local producers delivering cold cuts, dairy products and coffee roasted in Umeå by one of northern Europe’s finest coffee roasters. Breakfast includes freshly baked bread with different toppings, eggs, yoghurt with muesli, juice, coffee or tea. Always topped off by one of Kulturbageriets famous sourdough cinnamon buns. If you want to add something extra Kulturbageriet provides further assortments at extra cost. Breakfast is open Monday to Friday 06.30 to 10 AM and Saturday-Sunday 7 to 10.30 AM. During summer 25/6-12/8 every day from 07 to 10.30 AM. If you want to, take away your breakfast to the comfort of your room or to wherever you might be heading.